The new turf is in! 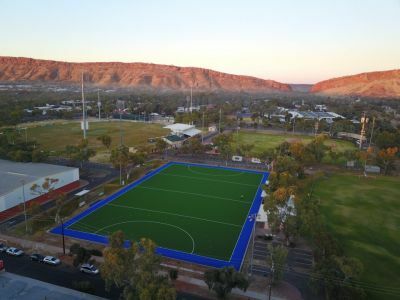 And confirmation of season re-commencement..
As a part of the Alice Springs Masters Games a Sports Trainer Level 1 Course is on oﬀer running from the 8th to 9th of September 2018. This is a great opportunity to get discounted training for ASHA members which in turn will help hockey to have extra Sports Trainers all year around.